So today I am going to be doing something a little different, I know we are pretty close to Christmas but if you would like get creative and make something special for a family member or friend, then here is how to make your own sack. Open up your fabric and place is neatly on the floor and fold in half, make sure all the edges meet each other and it is flat. 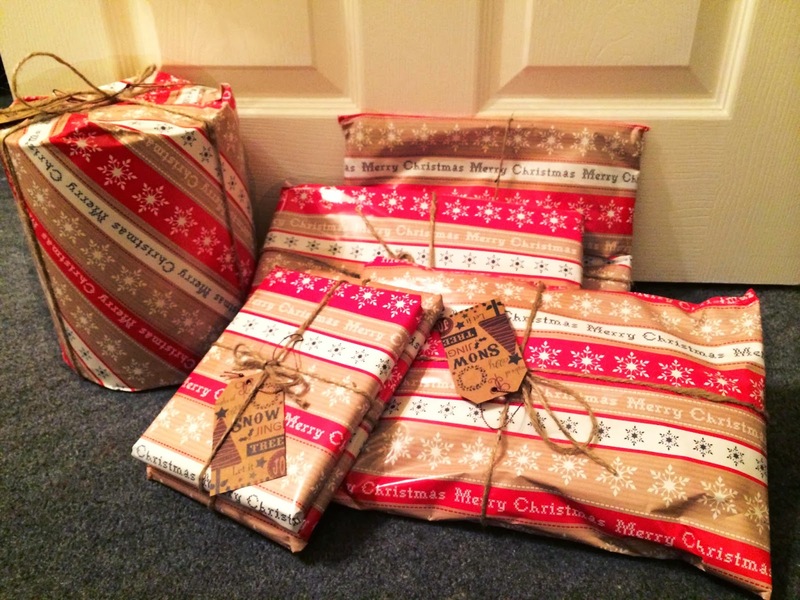 Then place your presents on top of the fabric so you can see how big the bag needs to be. Then mark this with some pins, it will either be a square or rectangular shape. Then get some scissors and cut carefully out your shape straightly. You may need an adult to help you. This is where it gets a little complicated. Get the lining and place it flat on the floor making sure it has been folded in half, place the hessian on top so that you know how much lining to cut out. However at the top of the sack you need some tartan fabric for the fold. 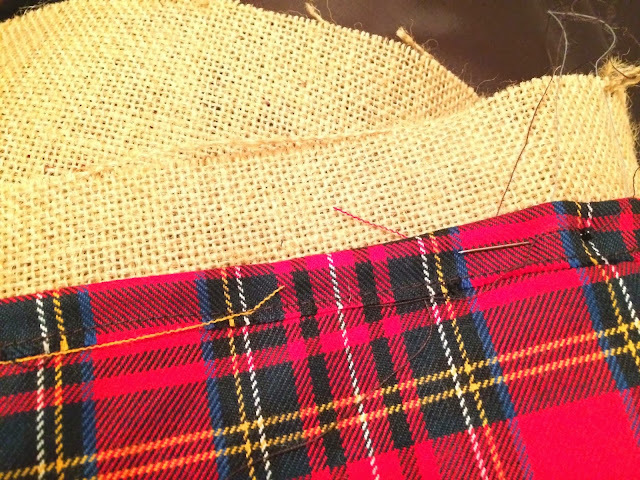 You can decide how much tartan you would like (or other fabric of your choice) then with the top of the hessian, fold how much you do not need of lining. (I hope this makes sense.) Cut out your lining carefully and neatly. 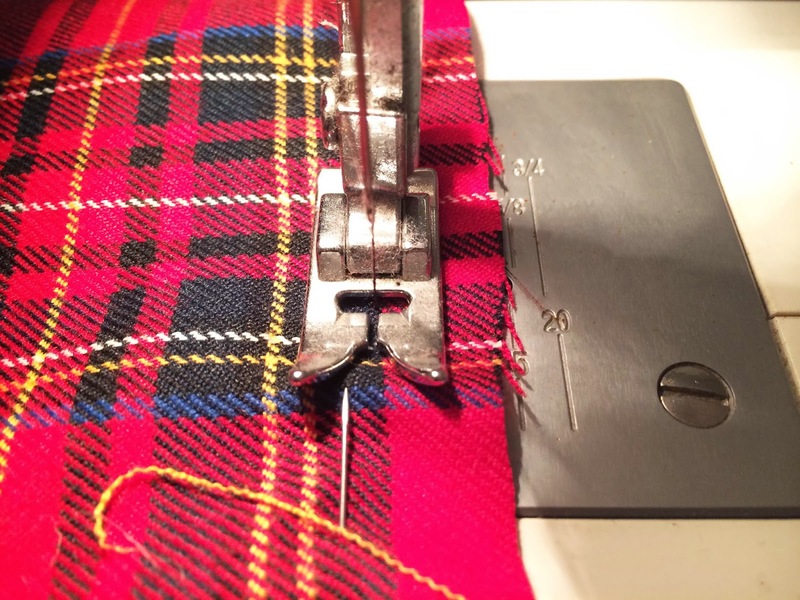 Get your tartan fabric and make sure it is flat and folded in half, then measure how much hessian you have not used to be covered with lining and cut out the tartan. 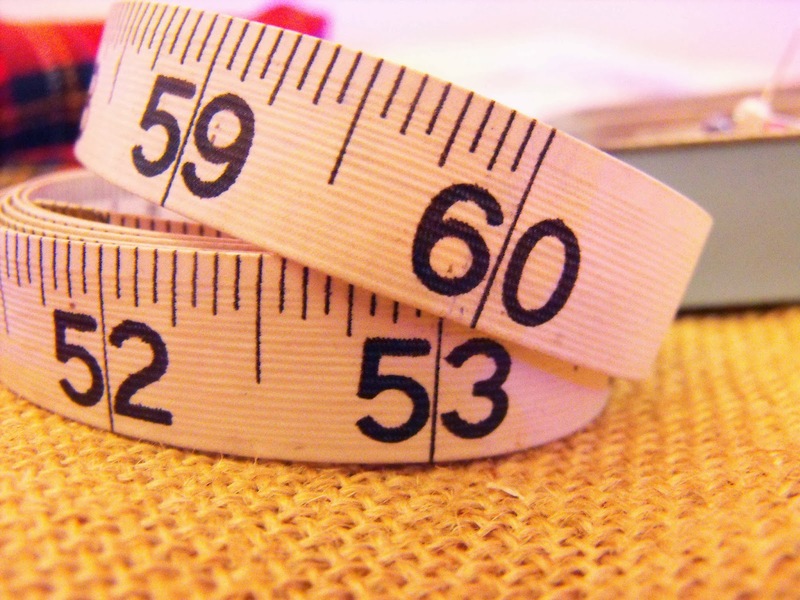 Make sure that you cut it slightly bigger than what you need across the top. Where the folds on the fabric are you need to cut along these, so that you are left with two pieces of each fabric. 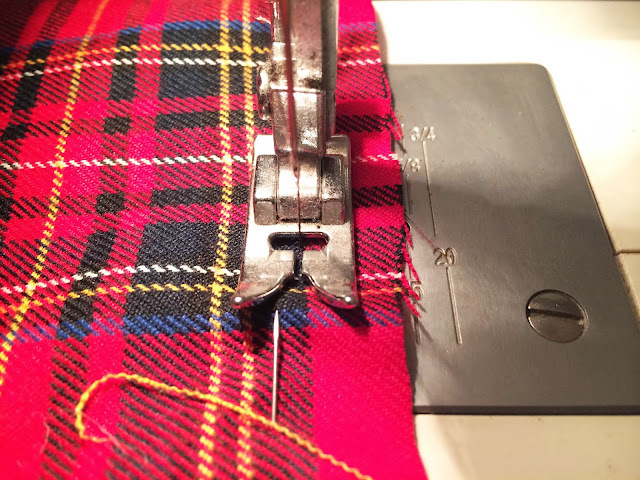 Pin the top part of your tartan to the top part of the lining and then sew them together using the sewing machine, leaving a 5cm gap from the edge. There may be a guide by the foot and needle on the machine to help you get this right. Whilst sewing take the pins out as you go along otherwise you could damage your machine. Then do exactly the same with the lining and the tartan you have left. Once you have done it, open out the tartan and lining and it should look like this in the image above. 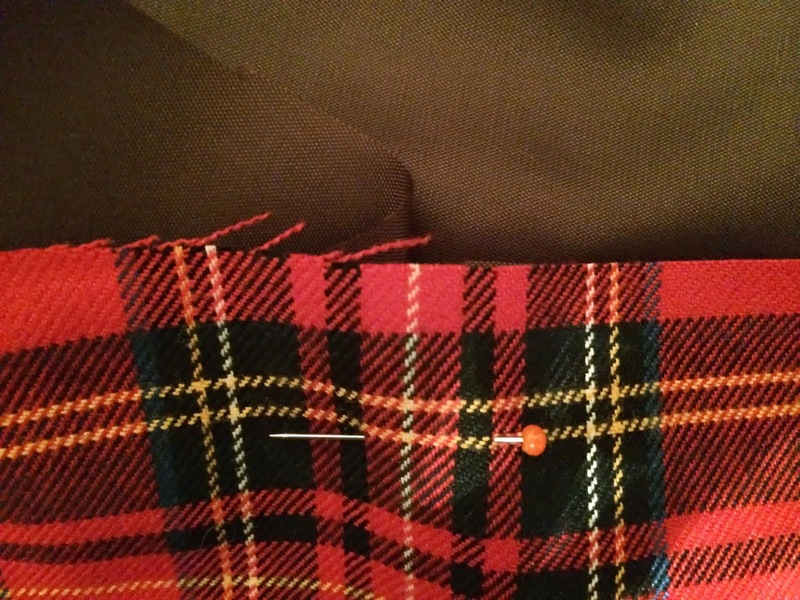 Get both pieces of lining with the tartan and pin around both sides of the fabric making sure your tartan is at the top. The right side of the fabric should be facing each other on the inside. You then need to sew down each side of the fabric once again leaving 5cm at the edges, once you are ready to sew the bottom of the lining leave a biggish gap for a bit later on. 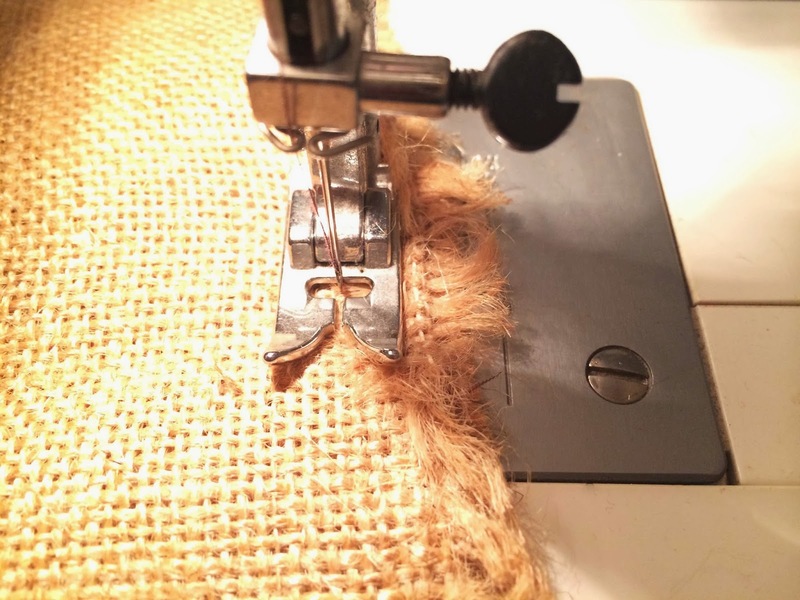 You then need to sew around three edges of your hessian fabric leaving 5cm at the edges again! For the next stage it gets a little complicated again. You need to get the hessian fabric you have just stitched and make sure that the outside is on the inside, then do exactly the same with you lining. Then place the hessian bag inside the lining (it may be slightly bigger in height but this is fine). 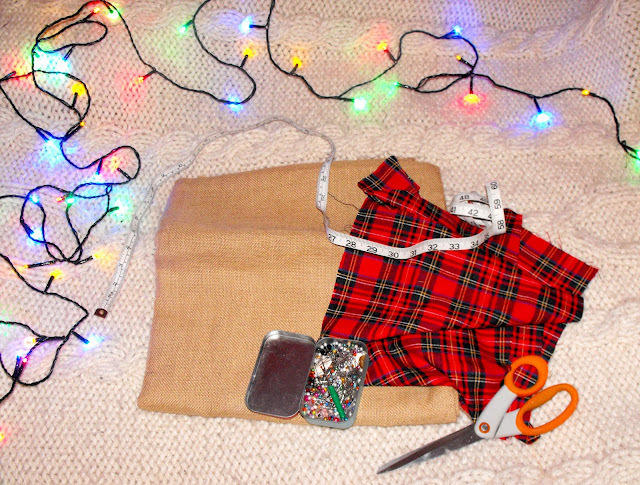 Make sure that the bag is open and around the edges at the top of the hessian and the tartan/lining you need to pin the pieces together. Make sure that you have not pinned it shut! 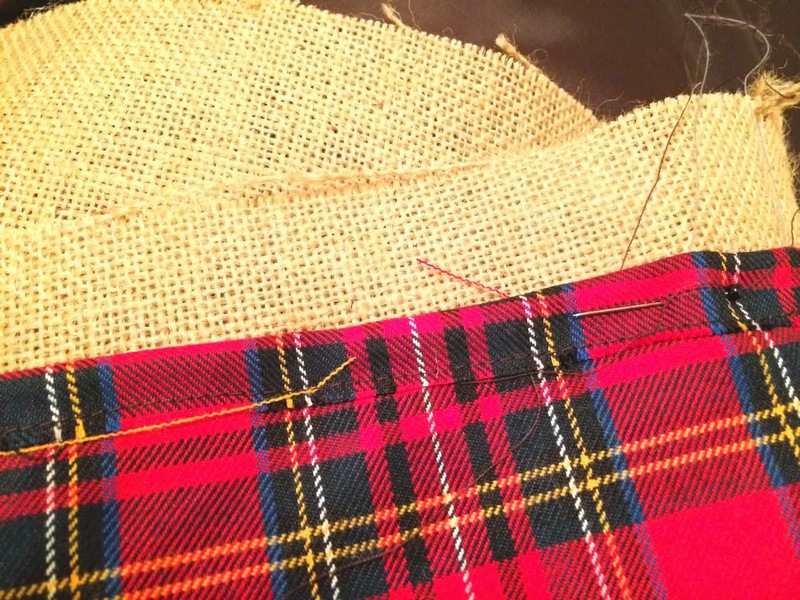 Now on the sewing machine you need to stitch around the top of the hessian and the tartan so that they are now together. Make sure that the bag is still open and you don't stitch it up. 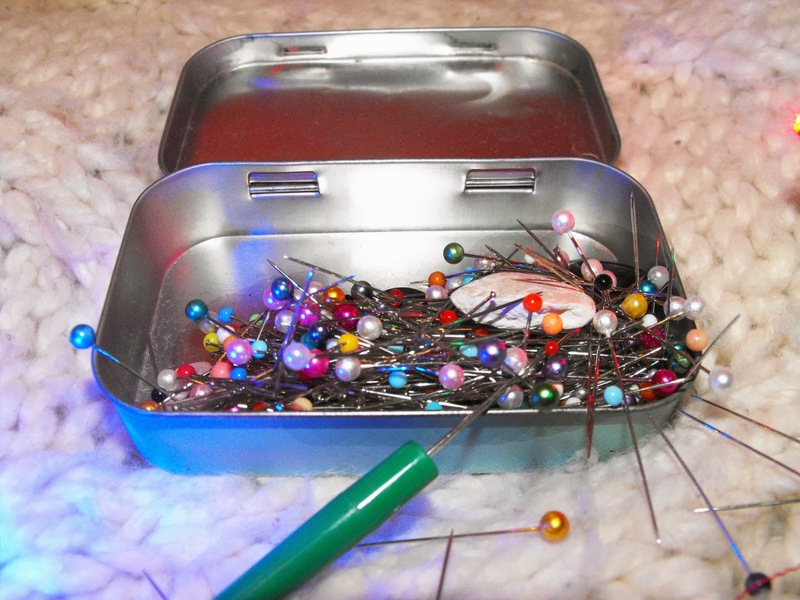 It is quite fiddly and you may need an adult to help you do this. Once you have finished sewing this you need to go to the bottom of the lining where you left the gap and carefully pull the hessian on the inside through it. Once is it all pulled through, pin the little but of lining together where you left the gap and top stitch this together. The place the lining inside the hessian. You can then fold the piece of the tartan on the outside, so it should look something a bit like in the image above! Get some ribbon and stitch it to the side of your bag carefully, it should be below where the tartan finishes. All you need now is your nicely wrapped presents to place inside the bag. Tie the ribbon into a nice bow and voila! Your sack has been finished. I hope you enjoyed this and it wasn't too complicated, I apologise if it is! Just make sure you take your time and be very careful, it is just something a little different and adds something special to the person receiving this as you have taken your time to make something. This can also be made in lots of different fabric for Christmas and even birthdays.